Crystal Acoustics MIC-30 headphones available from Amazon for £20 | What Hi-Fi? New from Crystal Acoustics are the MIC-30 in-ear headphones, which officially retail at £25 but can be bought online through Amazon, or the Crystal Acoustics website, for £20. Made from aluminium, the MIC-30s have a built-in, hands-free microphone with a single-button remote control. This makes them compatible with the vast majority of smartphones, the company claims. 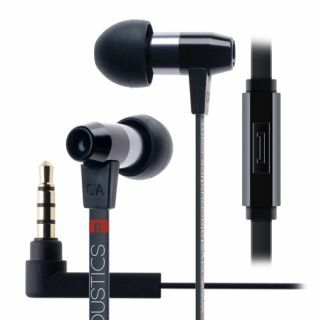 They come with three sizes of soft silicon ear buds, an anti-tangle cable and carry case.